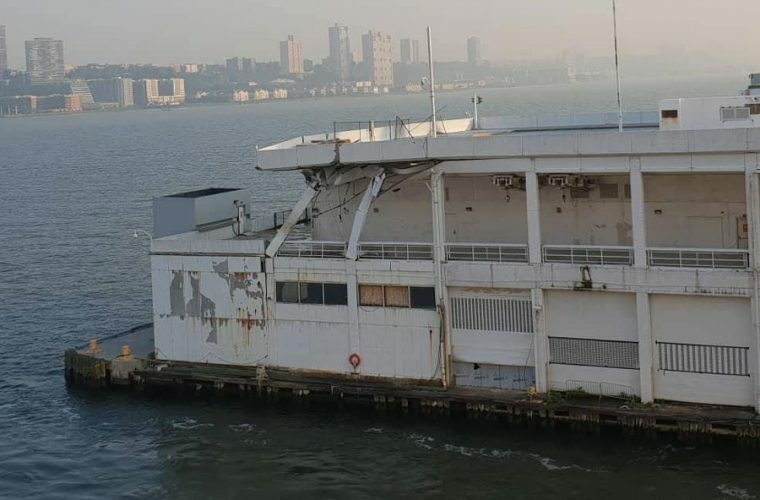 On Tuesday morning, the Carnival Horizon hit Pier 90 in Manhattan, New York, and now further details about the damage to the pier and the Carnival cruise ship have been released. The Carnival Horizon, which is the newest Carnival cruise ship, hit the pier in New York City on Tuesday morning, August 28. The ship was attempting to dock at its own Pier 88. You can read our previous post about the incident in New York right here. The bow of the ship hit near the end of the pier causing damage to both the ship and the pier. In fact, the deck 4 forward area of the Carnival Horizon, which is a relaxation area for the crew, was closed off all day. The U.S. Coast Guard investigated the incident and did clear the ship to depart on its next scheduled cruise later in the day. Special technical investigators did check the cruise ship after it hit the pier. Multiple technical surveys were completed to make sure Carnival Horizon could depart from Port of New York and New Jersey on Tuesday evening. Even an underwater check of the hull was done to make sure nothing was missed. The last thing Carnival Cruise Line wants is something to come up during the voyage. There was minor damage to the bow but nothing which impacts the sailing or operation of the ship. A detailed survey was done of the damage to the pier as well and at the moment no ships can moor on its south side. This side of Pier 90 will remain closed until it is permanently repaired. The investigation continues into the matter and all parties are working together including Carnival Cruise Line, Port of New York, U.S. Coast Guard, National Transportation Safety Board, and the Board of Pilots Commission. Thankfully, the next voyage went ahead as normal and Carnival Horizon is now sailing an 8-night eastern Caribbean cruise. The ship is calling in Grand Turk, San Juan, and Amber Cove before returning to its home port in New York on September 5. It’s been pretty bad for the newest Carnival ship recently. We reported on the technical issues which impacted the ship speed, which forced the cancellation of a call at Amber Cove. During the same voyage, a crew member sadly passed away in his cabin. Carnival Horizon is a 133,500 gross ton cruise ship with a passenger capacity over 3,900. It is the second Vista class ship and a third, named Carnival Panorama, will join the fleet in 2019.